The new versions of the mobile applications provide a new search function and settlement functions for statements, amongst others. 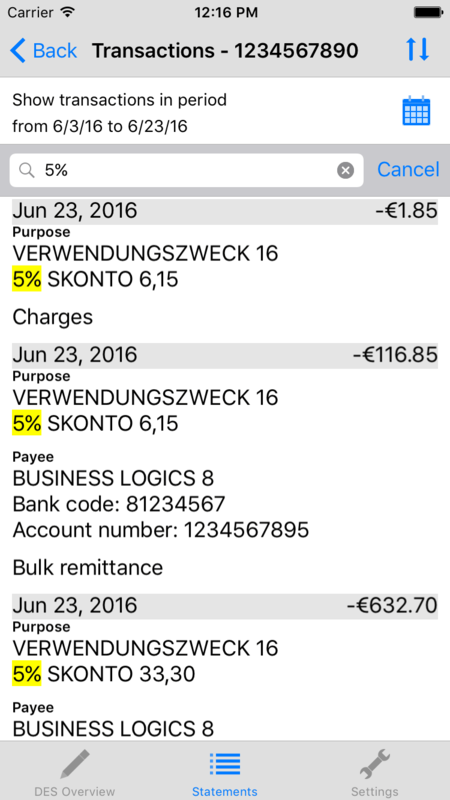 The DES app from BL Banking with the new search function is even easier to use. The search combs both the DES payments and statements to find the best hits for the free text entry. All relevant data is included in the search, e.g. 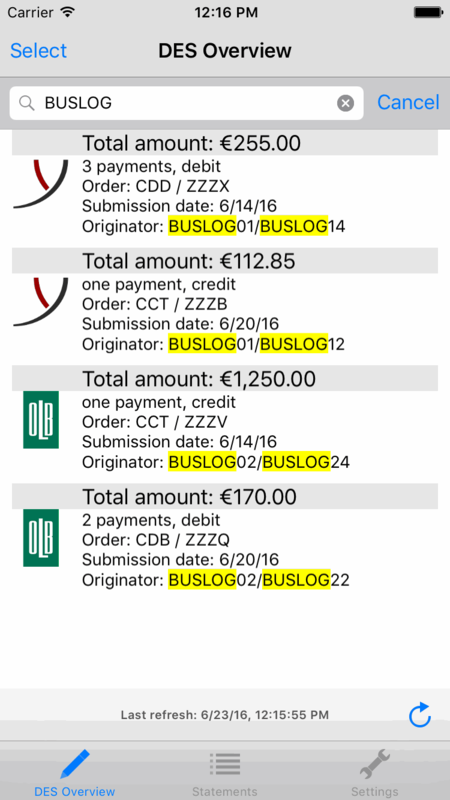 payment recipient, payer, reference as well as account numbers and amounts. Automatic settlement is also new. This now independently ensures that statements which are no longer required do not take up valuable storage space. The storage period for statements can be modified individually to specific requirements using the settings. These and other improvements, e.g. handling CAMT files, are already part of the iOS app. The Android™ version will also be updated shortly.